Take a look at the numerous villas in Chania Crete area which satisfy a wide spectrum of needs. From simple harbourside apartments on the south coast of crete to the lovely north coast where there are villas dotted around the Chania region. Some of the villas in the Chania area offer sea views some have mountain views. 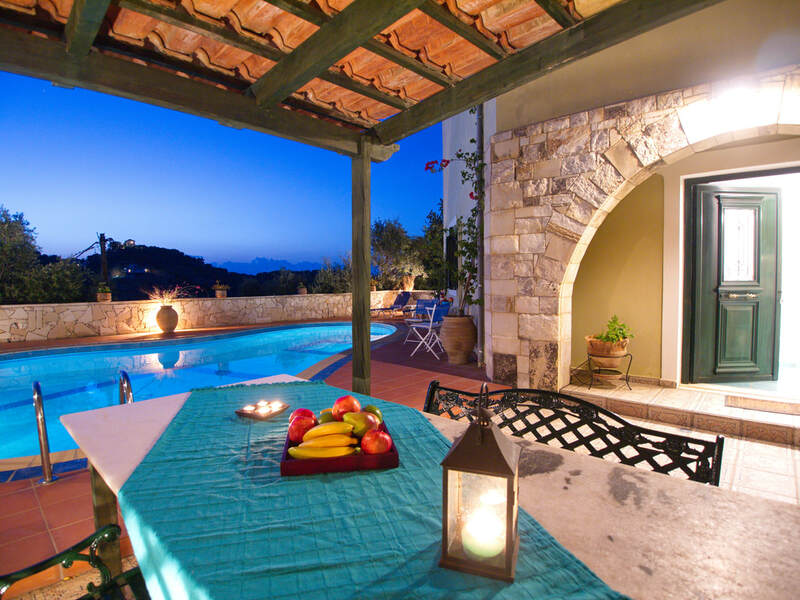 There are quaint villas for just two in Chania or there are large villas sleeping up to twelve. Whatever suits your needs for a villa holiday in Crete, we cover it.Please don't forget to send us an email at Diana's Travel to receive your voucher code for a 10% discount when booking your villa in Chania! Spacious, private villa on the edge of the village, near the sea with mountain & sea views. Table Tennis, BBQ area & jacuzzi in the pool as well as the master bedroom. Lovely gardens with private pool. ﻿Superb quality country villa in Crete with lovely sea views of Kissamos Bay. A great way to get a good feel of Cretan life in this villa and area. Air Con: Included in bedrooms. Maid service twice weekly. Pool towels as well as bath towels. Hammock in the garden. Easy holiday living with large pool, sea views as well as views towards Chania & the White Mountains of Crete. A wonderful place to have your villa holiday on Crete. Air Con: Included & in all rooms. Maid servcie twice weekly. Pool towels as well as bath towels. BBQ area.